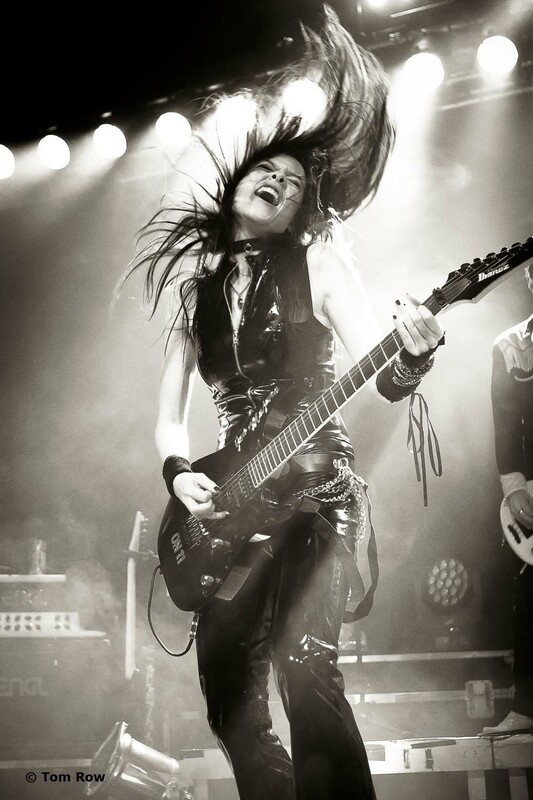 Jen Majura is the shooting star of Germany’s guitar scene. It’s clear where she gets her musical genes from. Her father is also a musician; in the 80s he was the bassist with “Kiz”, the Neue Deutsche Welle band that landed the hit “Die Sennerin vom Königssee”. As a small girl, Jen would sit on the side of the stage watching and listening, so it was no surprise that she was bitten by the music bug. She started piano lessons at the age of six, but discovered when she was eight that a guitar was far more effective to rock along to. The rest, as they say, is history– well, nearly. First Jen added other instruments – drums, bass, trumpet and sax to her list of talents. Her advanced music courses at school laid solid foundations as far as theory was concerned,and she definitely made the most of it. 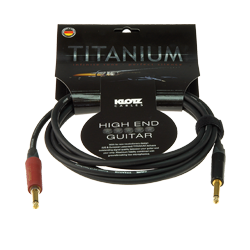 The next step was to start the laborious process of building a career, with countless live gigs and studio jobs. Jen and her AC/DC tribute band, “Black Thunder Ladies”, played Wacken Festival and toured Europe for five years. Jen then joined Knorkator, moved to Equilibrium for a short one-year spell as bassist, played with Swedish guitar virtuoso Mathias IA Eklund, found the time in between to record her first solo album, and has headed her own music school since 2014. 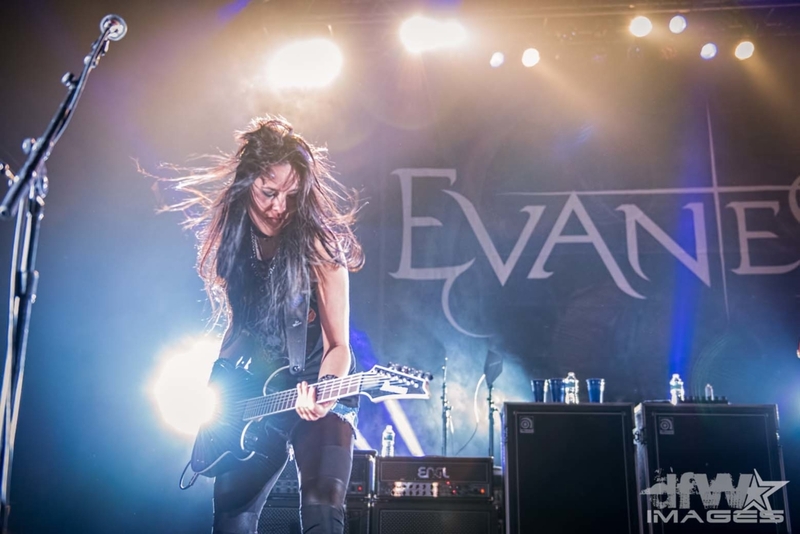 In the summer of 2015, her ducks came home to roost whenthe US band Evanescence (“Bring Me To Life”) asked her whether she would be their lead guitarist. There was no need for auditions, decided frontwoman Amy Lee, given that the Internet was packed with photos showcasing Jen’s talent.